Contemporary design – so irrepressible and always looking for new challenges – could not neglect the heating sector, which until a decade ago was limited to offer simple cast iron or aluminum radiators and as a milestone of excellence by providing the use of the bath radiator in the bathroom . The study of the theme has made progress going from the concept of “radiator” to a more complex “heated towel rail”. 1 ) Minimal design : the integration is done through the use of a heating body by the simple and essential lines . 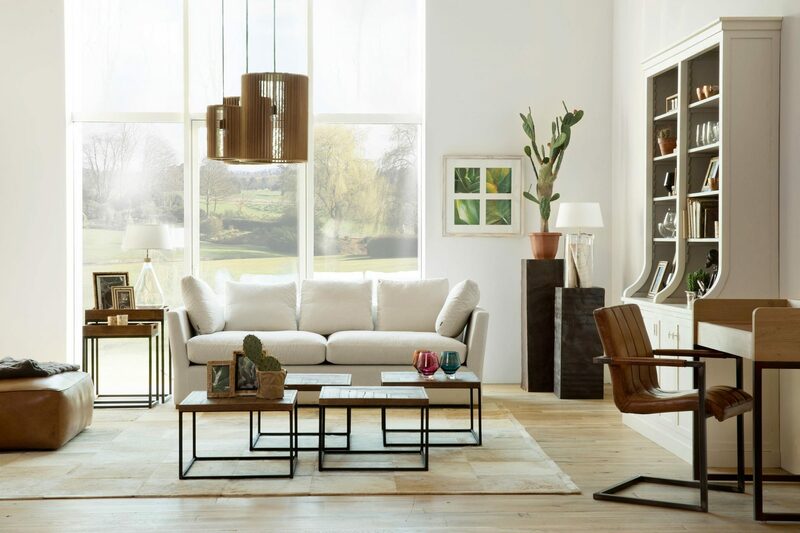 The objective is to make the object almost disappear between the existing furniture. It integrates into the space without becoming the protagonist. Can also be used as a shelf and door objects in addition to its primary function . Made of extruded aluminum can be positioned both horizontally and vertically . A thin blade can be installed both horizontally and vertically with a space to hang towels and other items. Awarded the Red Dot Design Award. Made with an aluminum profile and an assembly system designed to minimize the water content in order to maximize the yield . It combines at the same time the function of shower and radiator exploiting the potential and the strong aesthetic impact of both. The band anchored to the wall and floor consists of the radiator , shower head, mixer , hand shower and diverter . The heated towel rails can be chosen only in the version column radiator , with two open sides , or at an angle with side hinged door closed. 2 ) Design object : the heating element assumes its autonomy as an object to look at and not to be seen occasionally as in the first case . The radiator takes on the traits of a real piece of furniture. Heated towel rails which draws inspiration from the Pop period where form and function sometimes run on parallel tracks intertwined in unusual ways . Available in chrome finish or colored finish, black and white opaque. The game for children becomes functional object for the home. The design is combined with the technique of creating a cover that encloses the outer steel core aluminum and copper. 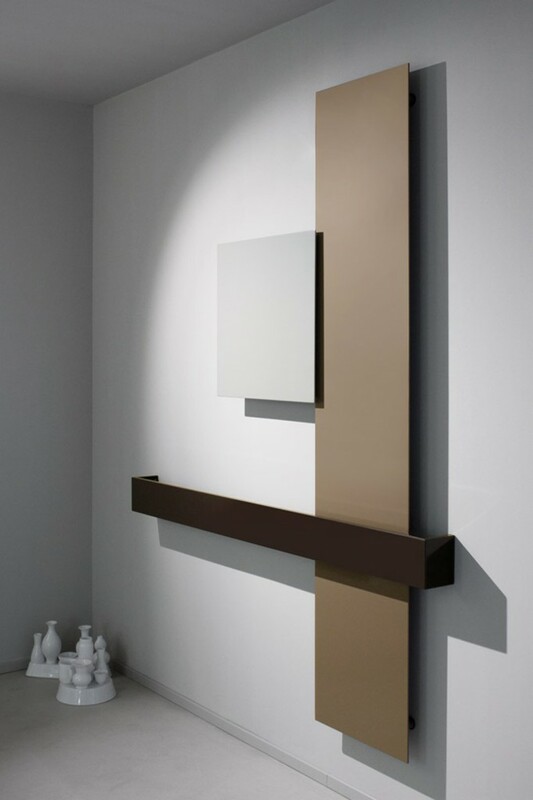 Aesthetic reinterpretation of the free-standing radiator . Three elements in painted aluminum configurable in different combinations . Single heating element with unique valve and remote control . The heated towel rails revolutionises the traditional concept of element “ugly” but functional , representing instead the prime example of how utilitas e venustas can perfectly be combined with a careful study of materials, shapes and finishes of an object.